July 4, 1776 is a great day in American history. It is the day our founding fathers signed the Declaration of Independence and claimed our independence from Great Britain. Over the last week, we have celebrated the 4th of July by sharing great ways you can celebrate Independence Day and must have 4th of July recipes. Today, we are going back in time and providing you with a little history lesson all about July 4th and why it is more than just a day to spend shooting fireworks and eating great food. We have broken down Independence Day into the five W’s – Who, What, When, Where and Why – to illustrate the importance of this historical day. The notion for America’s independence all started during the Revolutionary War and with Richard Henry Lee. During a Continental Congress meeting in Pennsylvania, Lee proposed that the 13 original colonies move for independence from Great Britain. At the time, Congress moved the notion to the side but did appoint a five-man committee to draft a formal proposal explaining and justifying the separation from Britain. The committee consisted of Thomas Jefferson – who wrote the majority of what is now known as the Declaration of Independence -, Benjamin Franklin, John Adams, Roger Sherman and Robert R. Livingston. The Declaration of Independence is just that. It is the formal document, written mainly by Thomas Jefferson, that formally addresses the original 13 colonies separation from Great Britain and earning their independence. The declaration was signed by 56 people. The most famous being John Hancock, the president of the Continental Congress, because of how large and flamboyant his signature is. While the idea of independence actually came about before initial battles during the Revolutionary War broke out, the 13 colonies didn’t gain independence until July 4, 1776. After their initial meeting in Pennsylvania on June 7 when Lee proposed the idea of separating from Britain, the Continental Congress reconvened on July 1. 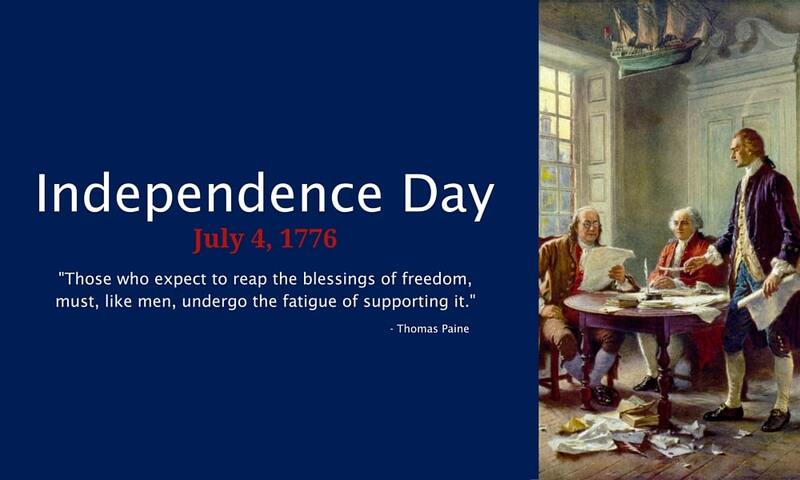 Between June 7 and July 2, 12 of the 13 original colonies accepted and agreed to Lee’s motion of independence. “The process of consideration and revision of Jefferson’s declaration (including Adams’ and Franklin’s corrections) continued on July 3 and into the late morning of July 4, during which Congress deleted and revised some one-fifth of its text. The delegates made no changes to that key preamble, however, and the basic document remained Jefferson’s words. Congress officially adopted the Declaration of Independence later on July 4,” as stated by History.com. Congress formally accepted the Declaration of Independence in Philadelphia, Pennsylvania.